Fancy some duck at home or for a party? Full menu available(585KB) to order in advance. Roast suckling pig is also a specialty we offer. It is usually between 3.5kg-4kg in weight and can serve between 6-10 people. This needs to be ordered 2 days in advance. 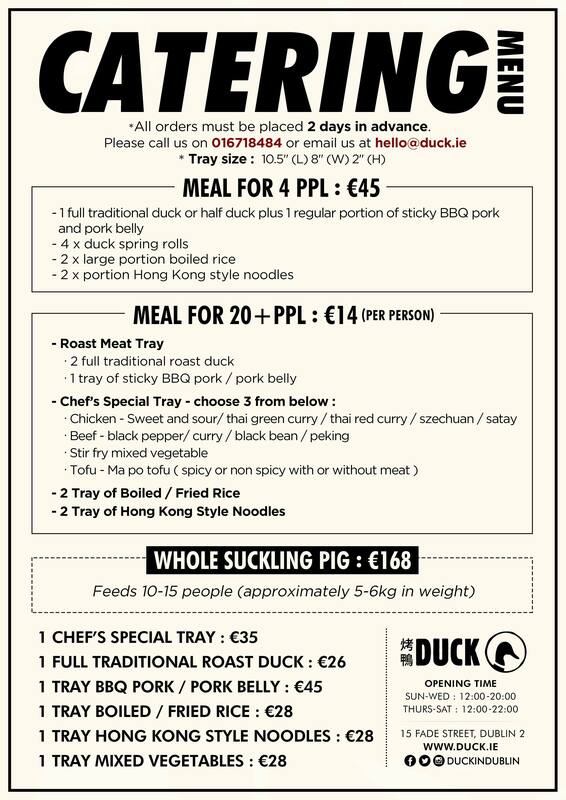 Email us at hello@duck.ie or call us on 01-6718484.